Plus: The average number of listeners Morning Ireland gets, and the expected rise in salaries due to Brexit. 439,000: The weekly listeners to RTÉ Radio 1′s Morning Ireland, making it Ireland’s most listened radio show. 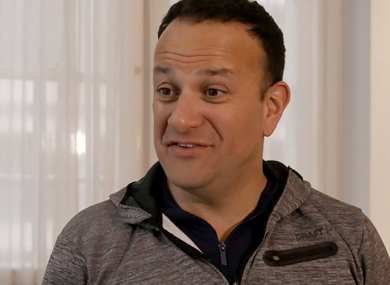 53: The metabolic age given to Taoiseach Leo Varadkar following a series of tests on RTÉ’s Operation Transformation. Varadkar turned 40 last month. 5%: The expected average rise in salaries this year as employers forecast Irish jobs boost from Brexit. €58,326: The amount of money paid to Boris Johnson to speak at a conference in Dublin last month. 3.2 metres: The height of the plinth that a statue of Margaret Thatcher was put on to deter vandals. 30: The number of years it has been since the Academy Awards has not had a host. Organisers have claimed the disarray over the lack of a host this year could prove to be positive for the awards show. €500 million: The tax settlement agreed by Apple with French authorities, settling 10 years of back taxes. 40: The percentage of eight to 10-year-olds who are speaking to strangers online, with 15% doing so every day. 1.45 million: The number of people who tuned into to see Ireland’s opening Six Nations game against England. 800: The number of cases in Ireland where people sought help with gambling addiction since 2015. €113,135.40: The amount of money the State has spent on private security in the past three years for an army barracks that has been unused for over six years. €191 million: The figure Health Minister Simon Harris was told the construction budget for the National Children’s Hospital was likely to overrun by. 66: The percentage of Irish people who said in a recent poll they have a less favourable view of the UK as a result of Brexit. 25: The percentage by which the number of homes built in 2018 rose compared to 2017. Email “What is the Taoiseach's surprising metabolic age? It's the week in numbers”. Feedback on “What is the Taoiseach's surprising metabolic age? It's the week in numbers”.